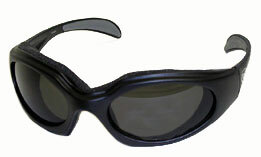 Deluxe Thick Padded Riding Bikerglasses! Rubber Ear Pads For Gripping Action!! Thick Cushion Foam Around Eyes!!! Comes w/Free Microfibre Soft Pouch!! !